This app seems to work pretty good for viewing my schedule, but when one tries to view a campus map in detail it gets stuck and one must kill the app and relaunch it to get back to anything else. How do you break it? Click on More; click on Campus Map; then click on any of the resorts, then click on one of the detailed maps. It shows you the map without any way to navigate out of it. It is stuck there permanently until you kill the app. Another annoying item is that when one launches the app, it tells you that you are not running the latest version of the apps and to go to the App Store to update. But when you go to update it shows you are already running the latest. 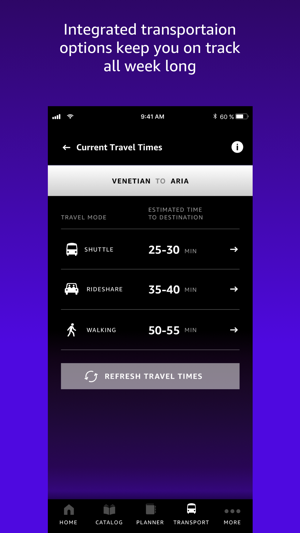 I expected just a tiny bit more in terms of usability out of this App. 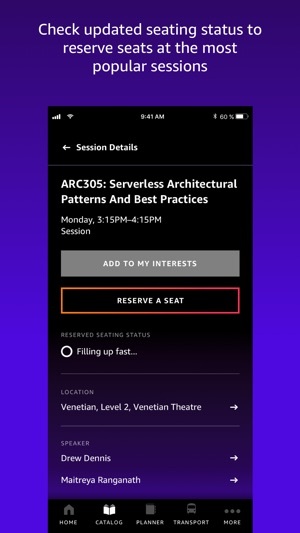 For any given session, you may or may not be able to reserve a seat, and if you can’t, the reason you cannot is not consistent. For instance, boot camp sessions could not be served but the app didn’t say it’s because they were pay-only. But the website did. And other sessions that were pay-only actually said they were pay-only. Still other sessions were full, but didn’t say they were full, just said they couldn’t be reserved, or couldn’t be added to the plan. Or maybe a sessions as walk-up only, but wasn’t really. Also, why can’t the app tilt? The schedule display really begs for a landscape orientation, but even on my tablet, it was narrow and hard to get an at-a-glance view. And why can it I not handle tablets? I saw TONS of people with tablets-plus-keyboards, including myself, and having to use the phone-sized app on the tablet was silly. 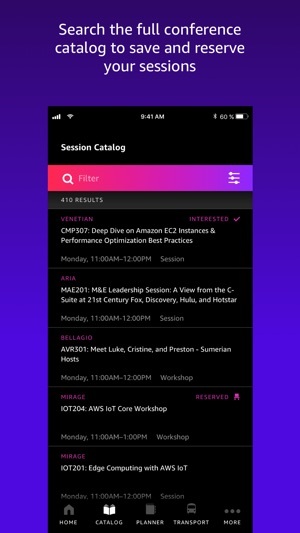 For a company that innovates at the incredible speed AWS does, providing the attendees of your largest annual event with such a poor mobile app is a disgrace. 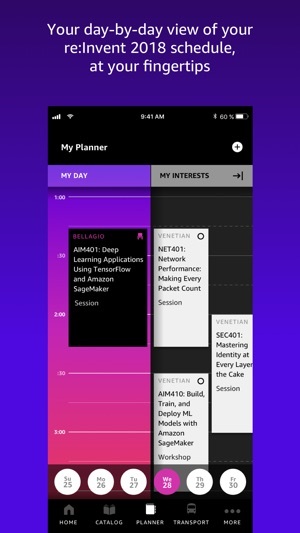 The entire process of navigating the massive catalog of sessions has been a total fail, and instead of helping with that process, this app just served to waste a huge amount of time. The planner seems to have been written by someone with little experience and who has never actually attended an event such as this themselves. 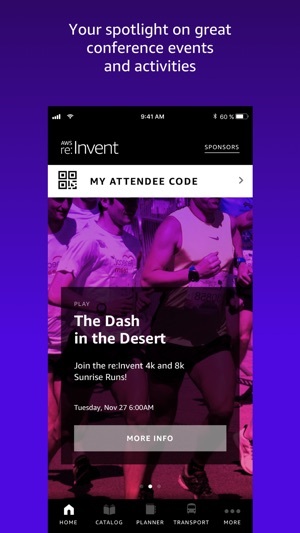 You had an opportunity to actually enhance the attendee experience of re:Invent with this app, but instead you’ve just frustrated everyone and provided a huge disservice to your loyal fans and customers. In the future, please either do it right or don’t do it at all. Requires iOS 9.0.0 or later. Compatible with iPhone, iPad, and iPod touch. © 2018, Amazon Web Services, Inc.